Spring finally arrived to Barcelona. It’s difficult to imagine but Barcelona’s temperatures fall to 4°C/35°F in winter and the city goes into hibernation mode. After April’s rainy season, spring slowly blossoms throughout the city’s corners and it reawakens from its winter slumber. Now, with longer days and sunsets after 9pm, garden dinner parties commence and people flood into plazas to enjoy the sun with a caña, glass of draft beer. Spring is an absolutely beautiful site to see in Barcelona and there’s no better way to celebrate it then having una caña y tapa. Finding a decent tapa bar in Barcelona can be an overwhelming task. There are so many to chose from, they are generally overpriced and crowded with confused tourists. I bear good news. I recently went to the neighborhood of Poble Sec to check out the tapa-bar scene and I must say it was a lovely experience. I also found out that the neighborhood organizes Thursday Tapa Crawls. A list of 14 different bars offer a tapa with every order of beer or wine for only 2 euros (click on picture above for details). One of my favorite bars was Trentasis. I was told they serve excellent croquetas, breadcrumbed fried goodies traditionally made of a bechamel based batter. They offer 2 types, Croquetas buenas or Croquetas muy muy buenas. I ordered the muy muy buenas and they tasted exactly as promised. For 4.65 you get to chose up to 4 varieties, which include foie with mushrooms, pheasant with truffle, gorgonzola with walnuts and black sausage with parmesan. They were perfectly crisp with a very delicious creamy filling. 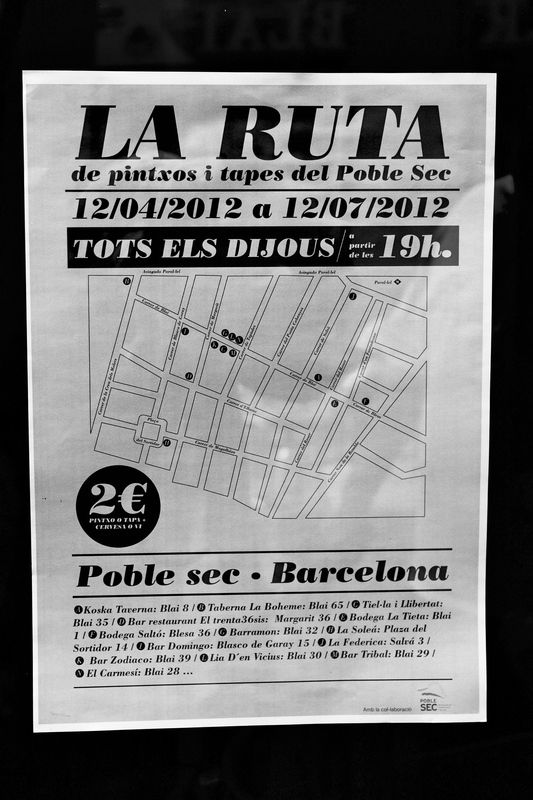 This entry was posted in Barcelona, Taste and tagged Barcelona, jeno, poble sec, ruta tapa de dijous, tapas. 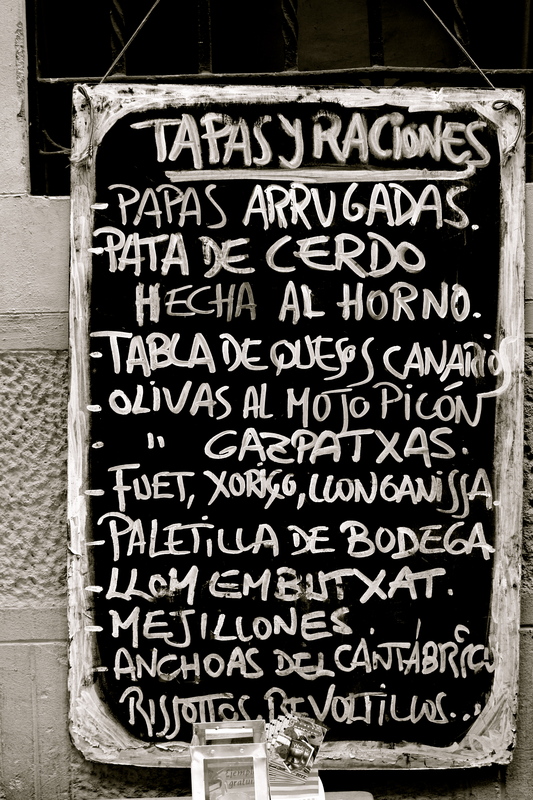 Oh yum… I’ve always been curious what veggie tapas are there since during my stay I seem to only had tortilla. YUM! Your food pictures always look so good. Thanks for the legend of tapas. That’s really interesting and it makes a lot of sense actually!